Hello! We want to give you the update about the 2018 Carp Fishing World Championship in Belgrade, Serbia. The 6th October the Championship was finished. Ukrainian team has become the champion again! The Championship was very specific. The fact that conditions weren’t favorable and the fish density was low, teams have managed to demonstrate good results. Nevertheless, many teams have remained with zero, catching no fish. The location of the teams in the standings was determined by one or two caught fish. It was huge pressure, 27 participating countries. 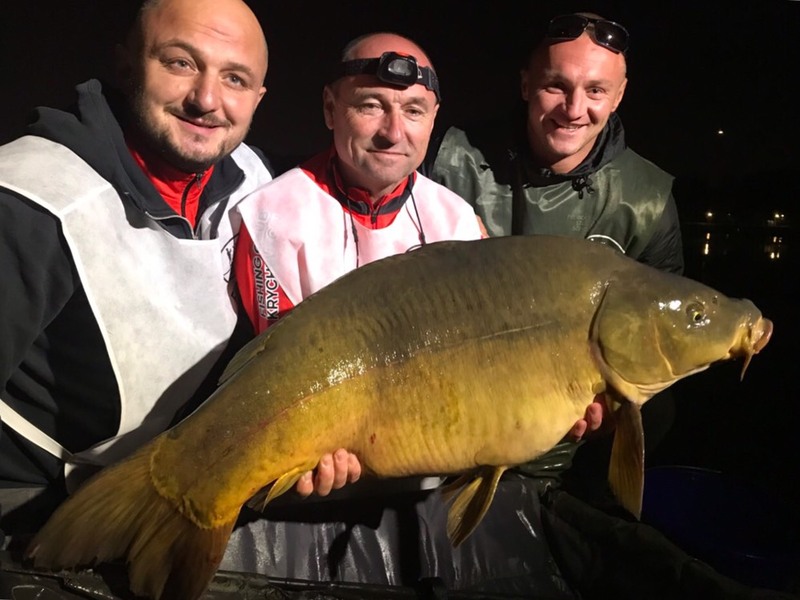 The Ukrainian national team took one fish in zone B in the start – the big fish of the carp tournament weighing over 15 kg. Nikolai Grigorashchenko and Mikhail Starchuk – the fish of this two must undoubtedly go down in history. A master catch, the 40-minute walk out and the fish that largely decided the result of the championship! The second fish of the national team was caught in zone A by Igor Ivasishin and Dmitry Lavrinenko. Besides, two in Zone C – Roman Ivasishin and Vasily Beznosko – remained without fish. England and Croatia – direct rivals for the first price. Actually, before the finish, England was holding the leading position. But in the last 24 hours, the Portuguese team caught one fish, which shifted the English in the general standings to the 3rd place. Fantastic double! Winning the World Cup in 2017, the Ukrainian team confirmed its skills in 2018.